This Friday ! We are ready east side! Waterford Lakes , Avalon Park …Why not! 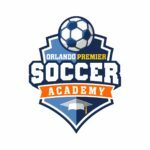 Our first session will be between 7pm to 8 pm at Boombah Sports Complex at 3450 E.Lake Mary Blvd Sanford FL 32773. We are very excited! We will let you all know as soon as possible! Get ready to the next level!